Mom's Gone Bronson! : Gluten Free Pancakes Using King Arthur's gluten Free All-Purpose Baking Mix! Gluten Free Pancakes Using King Arthur's gluten Free All-Purpose Baking Mix! I don't need to eat a gluten-free diet, but I do like to dabble in gluten-free foods as I have a couple of friends who DO have to eat such a diet and I like to find new ways to bring food to the table that suits everybody's taste. I found this King Arthur Flour: gluten free all-purpose baking mix at my local discount store for a whole 33 cents (usually around $7 online) and couldn't pass up the opportunity to give it a try! My daughter is a lover of pancakes and so I decided to follow one of the [many] recipes on the back of the box and see how the pancakes would turn out! I actually omitted milk and used water instead, though, as I have a lactose intolerance and thought "in for a penny, in for a pound" to see what might happen! 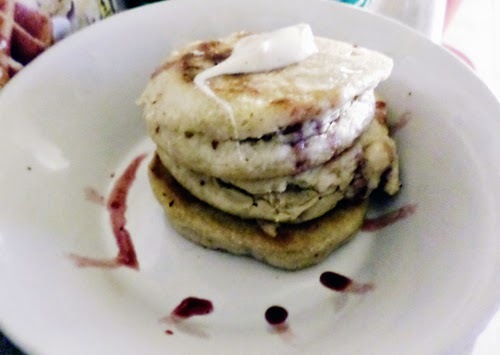 I followed the instructions on the box, cooked up the pancakes in some light oil and served them stacked with some mixed fruit jam and vanilla bean curd. The result? Actually, pretty good! Even with water instead of milk, these pancakes fluffed up pretty nicely and there was no bitty texture! They stuck a little to the pan, but that didn't matter if you got to them quickly and kept a good eye on them. My daughter didn't notice any difference between these and her regular pancakes, which I usually make from scratch and she did, in fact, eat them all! 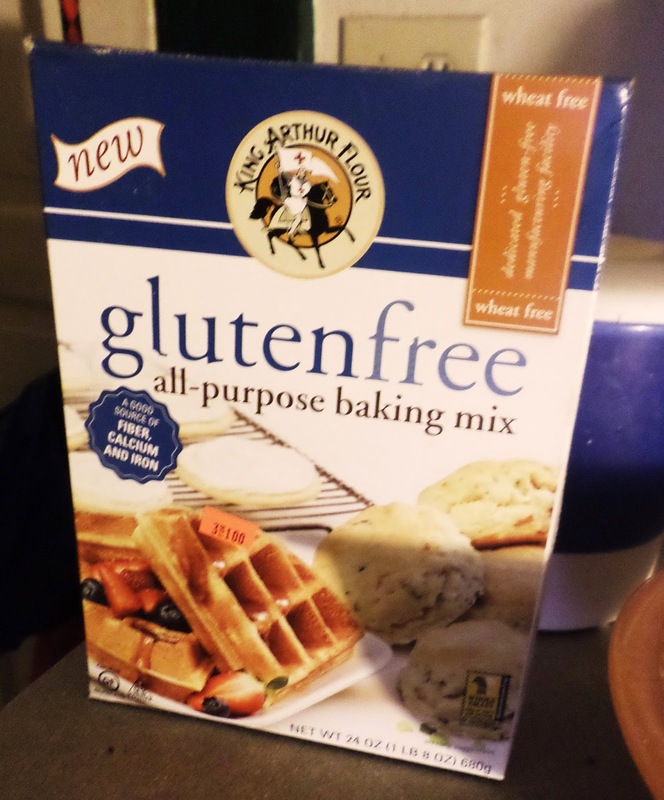 I had a few, too, and I really did enjoy them and think that this has to be one of my favorite gluten-free mixes to date and I am happy to have stumbled over it! I do hope they have it on this ridiculous 3 for a buck sale again pretty soon as I would swoop it up in a hearbeat! - The perks of living close to a discount store are many, but the downside is that the items you might find there every week are not constant, but when they're there it is buy buy buy!! Here is a look at the pancakes! Why not give them a try per the boxed recipe today! I would definitely whip some up again for sure! Disclaimer: I was not compensated for this post in any way, these opinions are 100% my own, thank you!